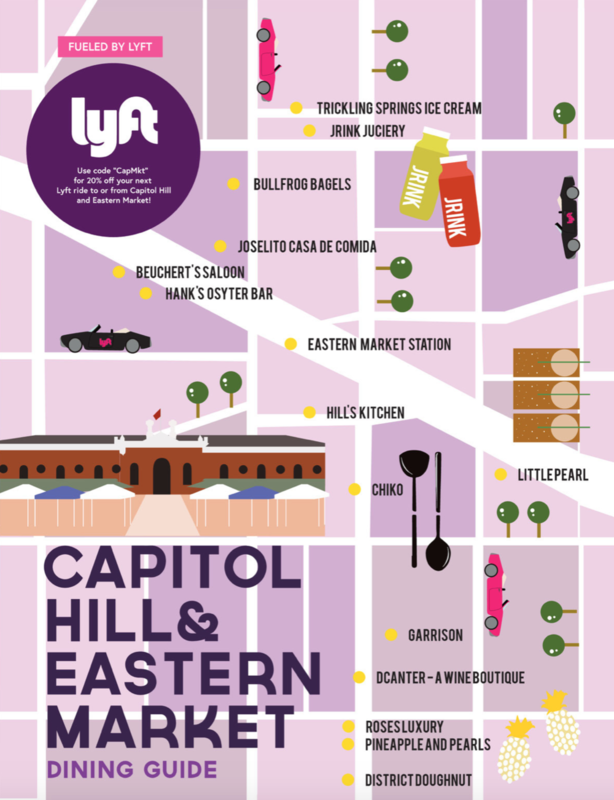 Our Capitol Hill and Eastern Market guide is ready for your consumption! We will make updates as changes occur to the best of our ability. (Garrison has recently closed for example). This is hands down one of our favorite places to get ice cream and soft serve. They have amazing seasonal flavors like PB&J during back to school and lucky us outside their Union Market location they are now in Eastern Market. Local juicing start up here in DC with multiple locations - you can read our original story on JRINK here. A cozy Spanish style restaurant - perfect for happy hour or date night. They offer a quaint dinner and movie package with local theatre. Helmed by Chef Andrew Market this cozy saloon vibe cranks out delicious dishes dinner and our favorite brunch. With locations in Dupont Circle, The Wharf, Old Town Alexandria and Capitol Hill we’ve been Hank’s fans for some time. Come for the happy hour and then stay for the main course - fried seafood. Meet DC’s original food hall, in operation since 1873 they have a variety of indoor merchants boasting fresh flowers, meats, and even prepared foods. They also have a farmers market in their outdoor stalls every Tuesday. If you need kitchen supplies, gifts, or home goods Hill’s Kitchen is a local must stop - plus they carry EdibleDC Magazine. Local Chefs Danny Lee and Scott Drewno collaborated to open this Korean Chinese fusion concept. We love how casual the front the house is and they invite guests chefs for a fun After Dark series. From the team behind Rose’s Luxury, Little Pearl took over a historic building for a more casual all day cafe that flips into a $45 prix fixe menu of 8 courses at night. We highly recommend adding on the wine pairings. Local wine store worth a visit plus they offer a robust class and events program so if you have the itch to learn more about wine or have a creative date, stop here. Every time we go we fall in love more. They have an impeccable ability to make each guest feel like a VIP sending out comp treats and bites for each table. This two star establishment offers a tasting menu experience worthy of a splurge. If you are hesitant to commit check out the less pricey sisters Rose’s Luxury or Little Pearl. Local doughnut shop that often sells out of their seasonal doughnuts before midday. You can also check them out at their newly opened stall at Union Market.